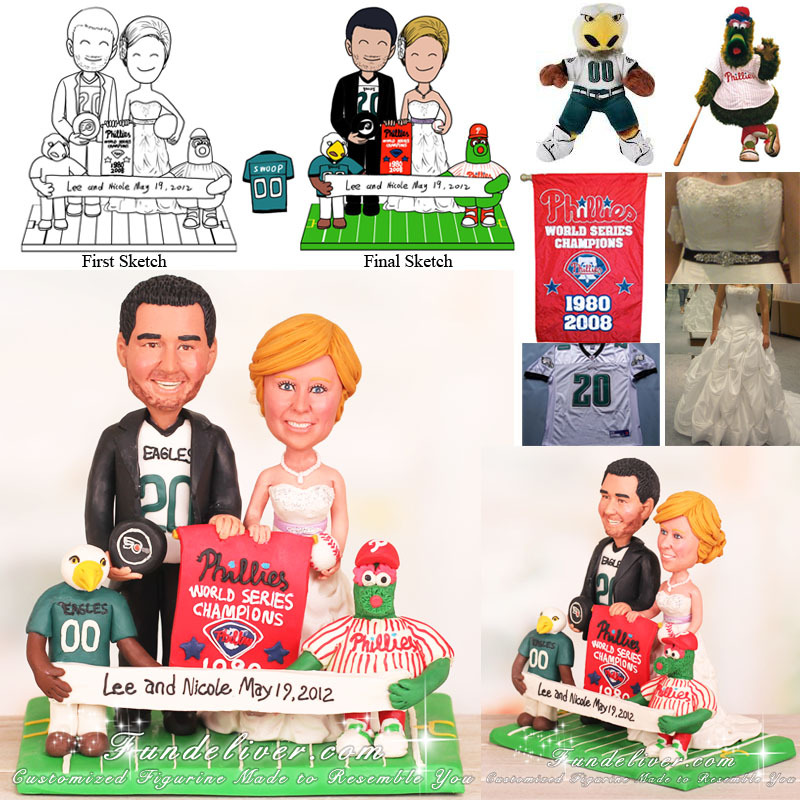 This is a completely customized the mascot Swoop and Phillie Phanatic sports wedding cake topper ordered by one of our customers. 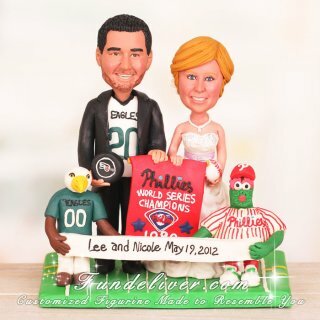 They would like a bride and groom figurine to be standing together, holding the Phillies banner and the bride to be in her wedding dress with a lavender sash with her hair in an updo and a normal smile. The Phillies Phanatic is in front of her. They would like the groom to be in a suit with an Eagles jersey underneath with a normal smile. Swoop is in front of him. For the base, they would like a football field without the field goal posts. And a banner is placed on to say "Lee and Nicole May 19, 2012".